Welcome, reader! We here at the Clarke County Office are happy to have you read our thread! Clarke County Support is a forum supposed to answer all your questions of the original Clarke County game. We would be happy to have you guys join us, and then blend in with all other community members! You MAY post off-topic because we have a topic called General Discussion for people who don't want support. We endorse people who support actively. We, the entire staff team, are here just for you! 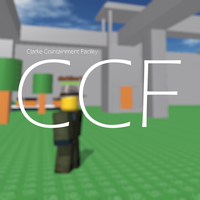 We are a Role-Play prison, so why not join the community? Start a gang, join a gang, or join the almighty Correctional Officers! It's all up to you, the prisoner. Want more information? Contact us in the support forum! We are a new forum. We welcome you in a new type of community. darkline1, being in the logo. I love the logo so I use it.